Hate leaving your four-legged companion on land as you sail off on your paddle board? Worry no more. 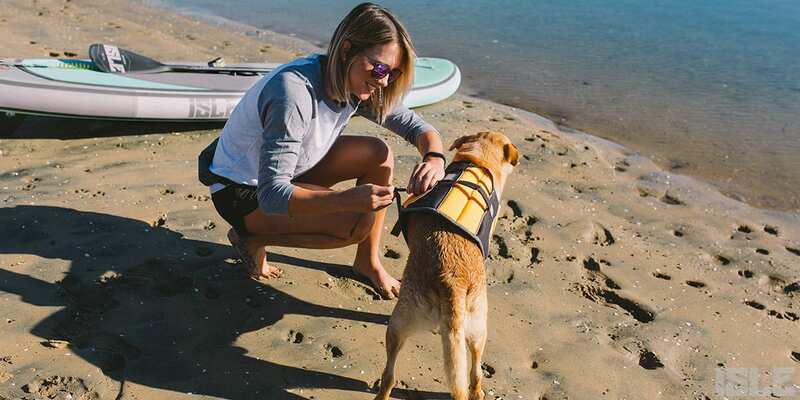 With this quick tutorial, we will be getting you and your furry friends out on the water ASAP. It’s simpler than you think and everyone is doing it. We have evidence. 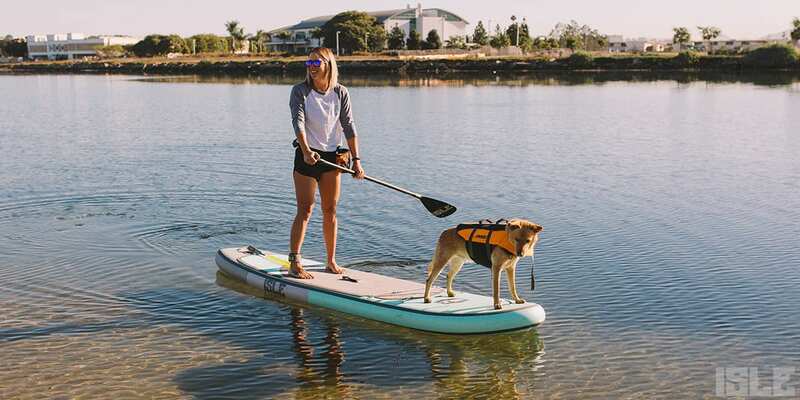 Samantha Eastburn from SUP Pups California at the SUP Connection invited us to come see a day in the life of a SUP PUP instructor. 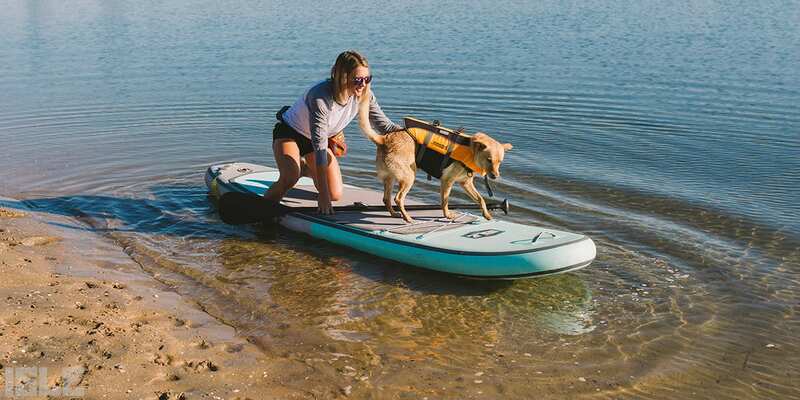 She gave us tips & tricks on how to successfully paddle with your pup. Everything we learned is shared below. 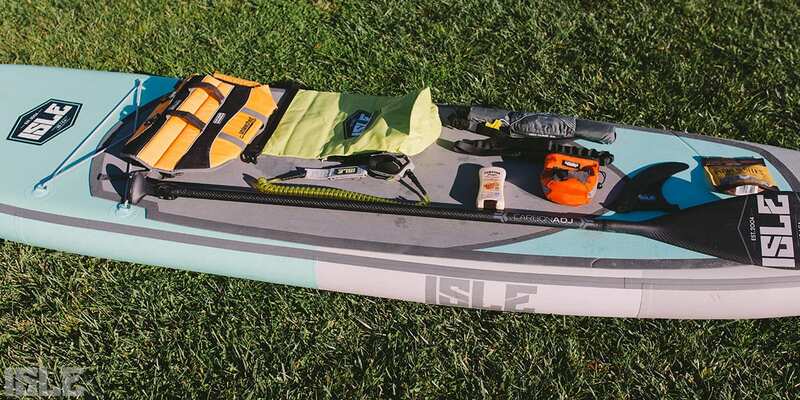 The first step to having a successful SUP PUP adventure is to come prepared. Before your dog sets a paw on your board, let your dog sniff out the location. Take them down to the shoreline and get their paws wet. Once your dog is acquainted with the area, put the life vest on your pup and introduce them to your paddle board. Let your board float in the shallow water. Get yourself situated on the board and drop to your knees. We’ve found sitting just behind the carry handle is the perfect spot. This allows you to compensate for their weight on the front of the board and not be too forward heavy. *If you have a smaller pup, move the nose more towards the shore so they don’t have to go deep into the water. For larger pups, having a friend hold the board stable will make it easier for them to get on. Once you two are comfortable, either have someone push you or launch yourself away from the shore. Be sure to sweet talk, pet, hug, and kiss your pup because now they have realized you have left the safe ground. Within 30 minutes you and your dog will be PUP SUPing pros! By now, you can gauge if it is time to head back in to take a break … or to keep cruising. Just remember to have fun, play in the water and bond with your pup while getting a good work out and soaking up the sun. If your dog is trying to jump in the water within the first 5 minutes, try your best to hold them back and sternly tell them to wait. After 5 minutes, if they are dying to taste that salty water, let them go. They will swim around and realize they cannot go anywhere. Call them back and pull them aboard, be sure to use the handle on the PFD and NOT their collar. If your dog reaches the nose of your board, you can extend the blade of your paddle to the front of their chest instructing them to stay. You can also bend down and grab their leash to give them a little tug back instructing them to not jump off. You never want to attach their leash to your body or hold it with the paddle. If they decide to jump in they could take you with them. Most importantly, don’t forget about TREATS, TREATS, TREATS! They are essential to help motivate your pup to get out and paddling. 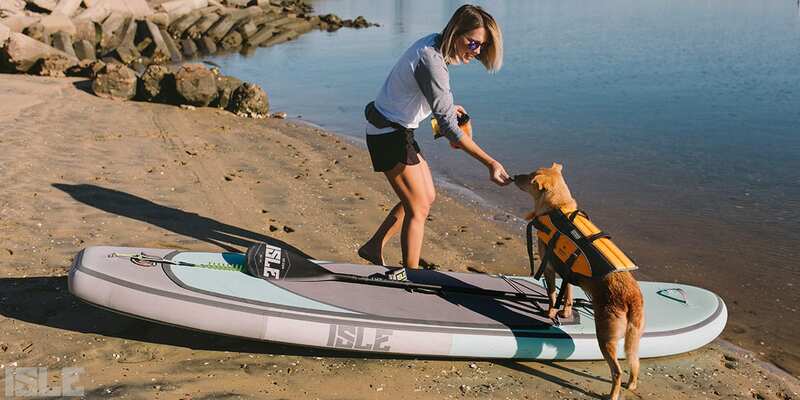 Read our How to Paddle Board with Your Dog blog to receive more helpful tips on preparing your dog to SUP.